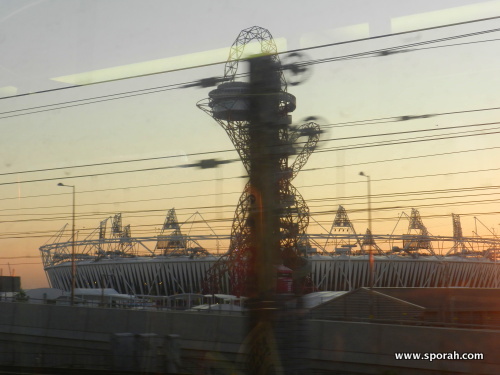 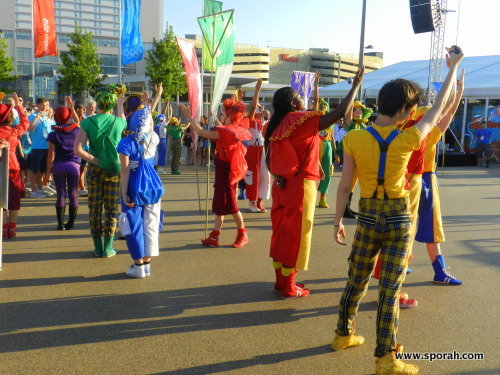 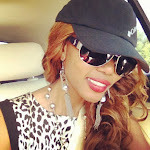 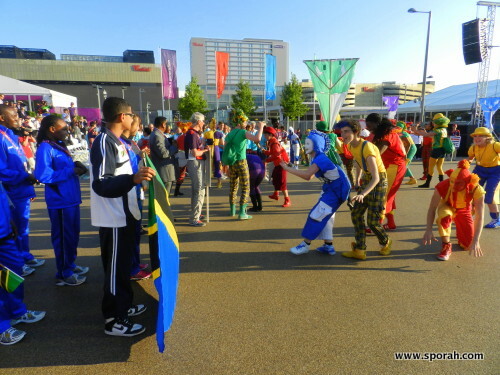 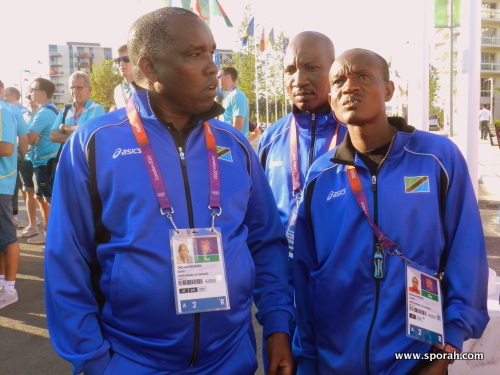 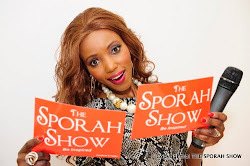 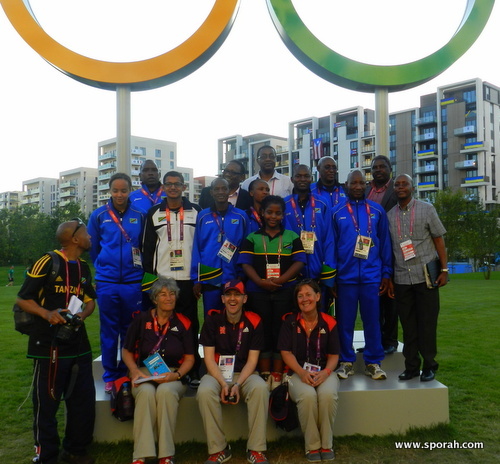 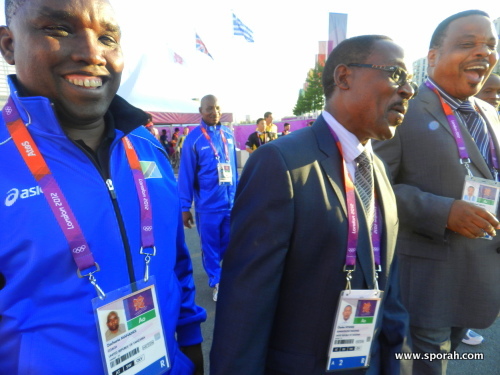 SPORAH TV: IT'S OFFICIAL: TANZANIA WELCOMED IN LONDON 2012 OLYMPIC GAMES AT STRATFORD CITY, UK. 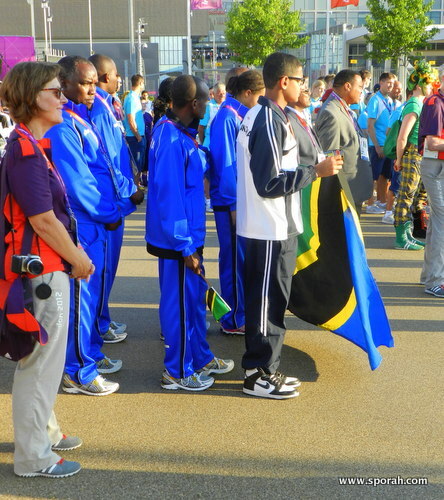 IT'S OFFICIAL: TANZANIA WELCOMED IN LONDON 2012 OLYMPIC GAMES AT STRATFORD CITY, UK. 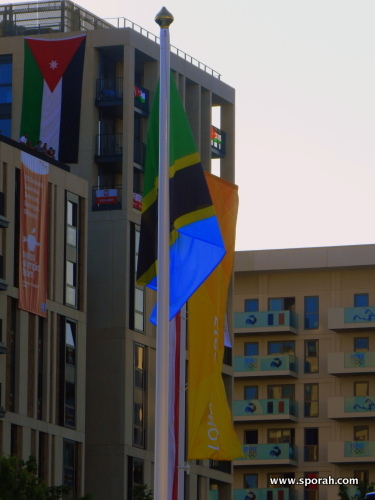 They extend a formal welcome to the athletes and the athletes' national anthem is played while, at the same time, Tanzania national flag is raised. 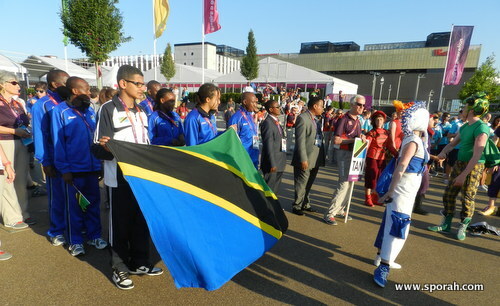 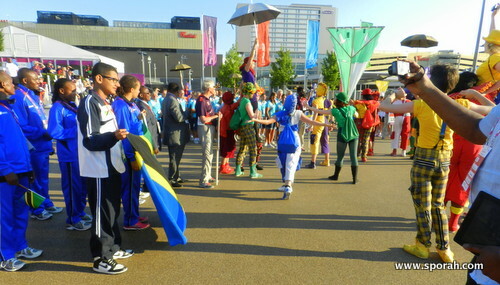 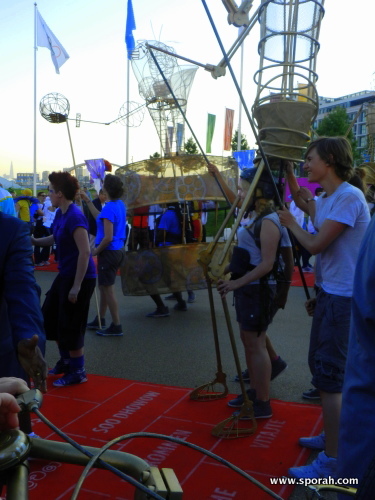 It was a colourful ceremony as Tanzania were officially welcomed to the London 2012 Olympic Games Village at Stratford in London, UK. 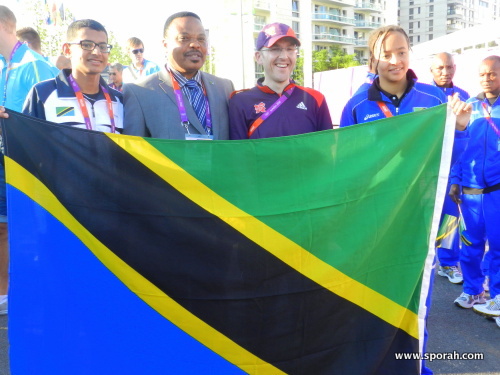 Tanzanian High Commissioner to the United Kingdom H.E Peter Kallaghe, his deputy High Commissioner Mr. Chabaka F Kilumanga and his first Secretary at Tanzania High Commission Mr Amos Msanjila attended the ceremony. 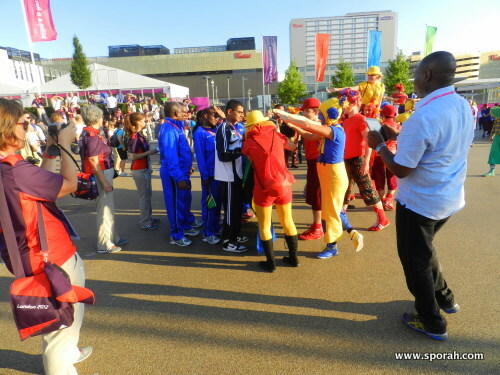 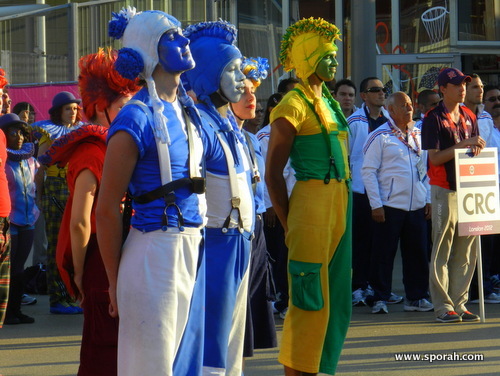 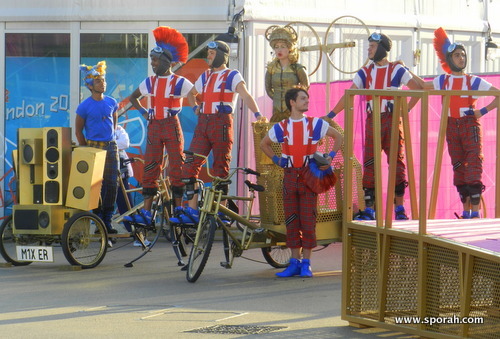 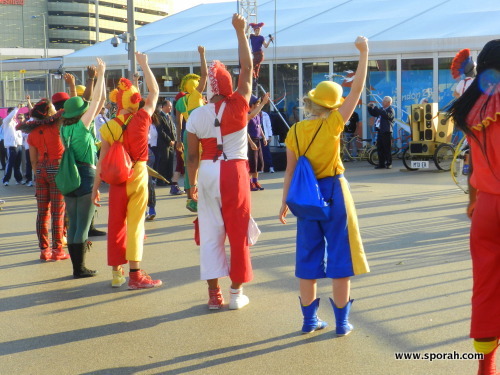 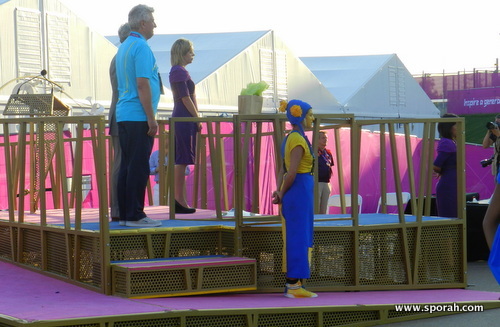 The Olympic Team Proudly Singing - Tanzania National Anthem, in the Olympic Games Village at Stratford City: London. 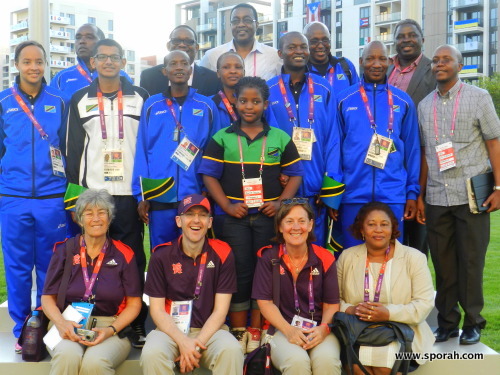 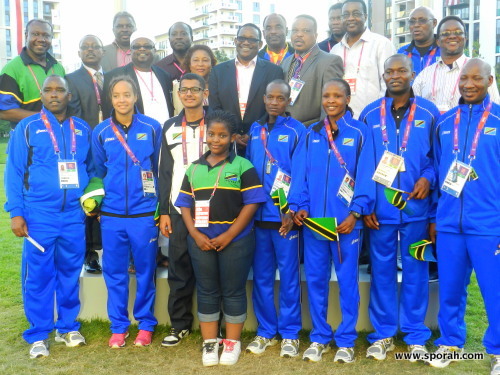 The Tanzanian High Commissioner To The UK H.E Peter Kallaghe and Some Tanzanians based in London were also part of the audience who came to witness their home team being received at the London 2012 Games Village. 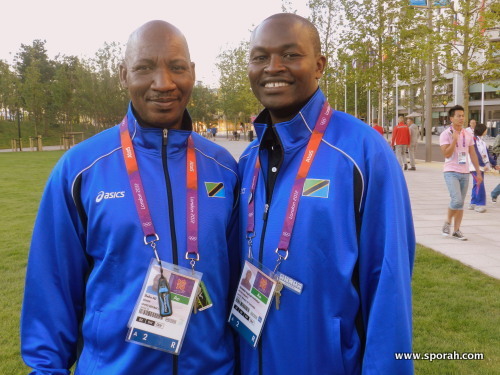 Phares Magesa Vice President Tanzania Basketball Federation and Fredy Macha were there to witness their home team being received at the London Olympic 2012. 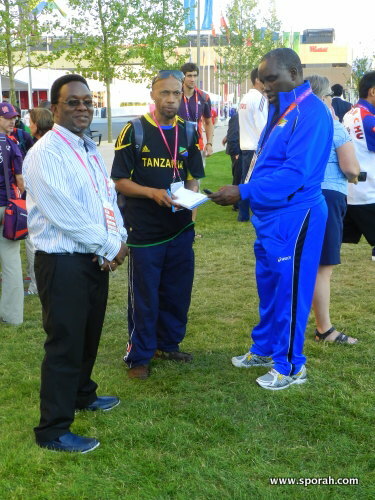 Tanzanian representatives for the London 2012 Olympic sharing a laugh. 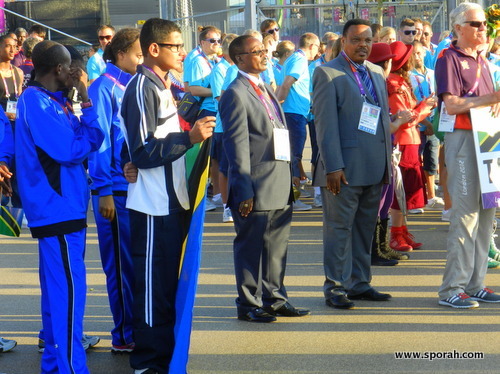 Tanzania Olymic Team, Mr Hassan M Jarufu in the middle (Left) and Magdalena Moshi (Right) raising Tanzania flag at the London 2012 Olympic ceremony. 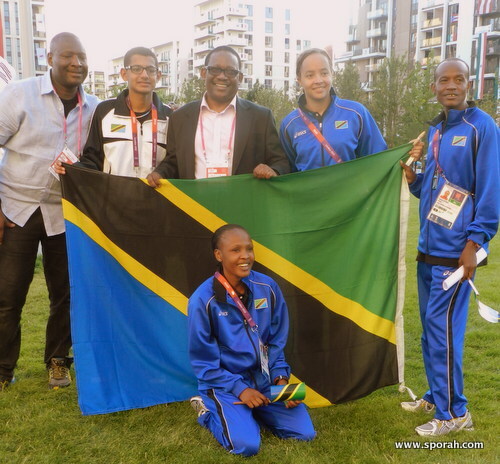 Tanzania Olymic Team, Mr Abdalla Makalla and Sheha Mohamed posing for picture. 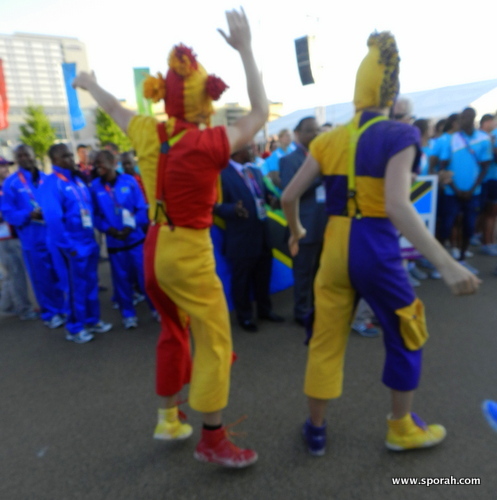 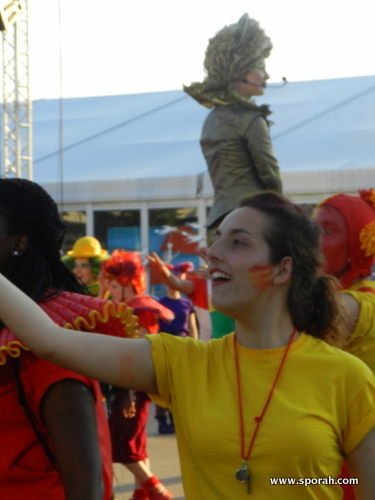 Amazing Traditional Dancing At The Opening Ceremony Of The Games, With The Aim Of Engaging The Athletes In A Fun And Interactive Experience. 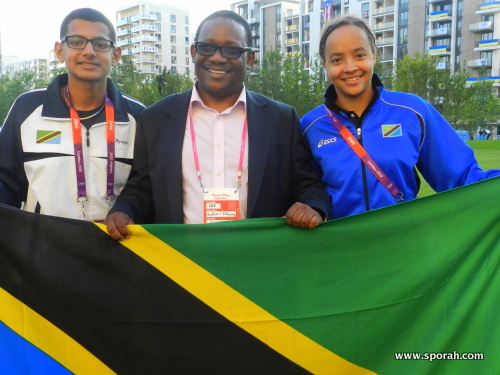 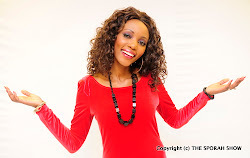 Tubariki WALARUSHWA WOOTE wa Tanzania.